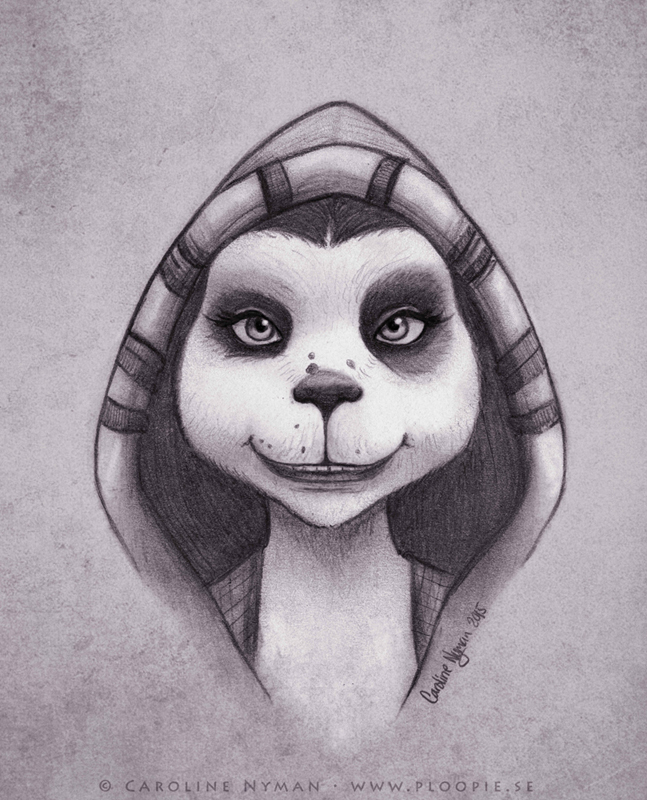 This is a drawing of my pandaren priest from World of Warcraft. 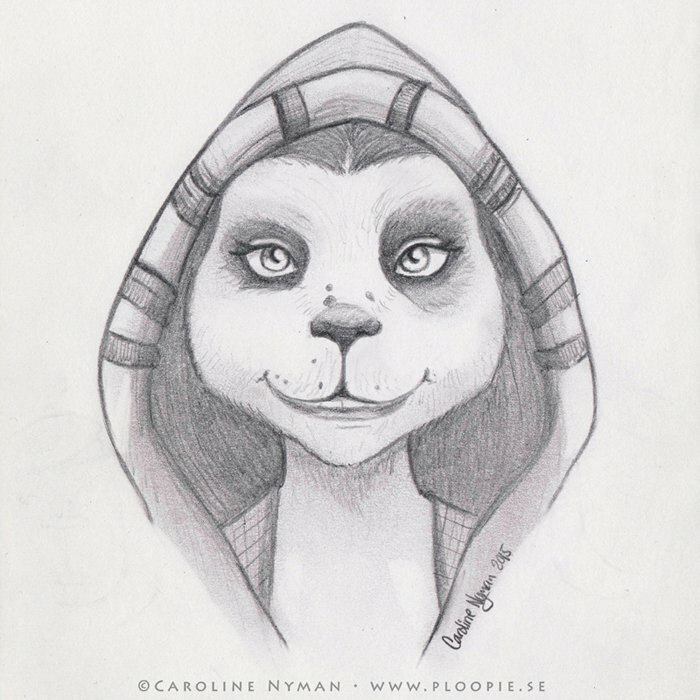 Started of as a simple sketch in my sketch book but ended up working longer on it because.. it's a panda!. 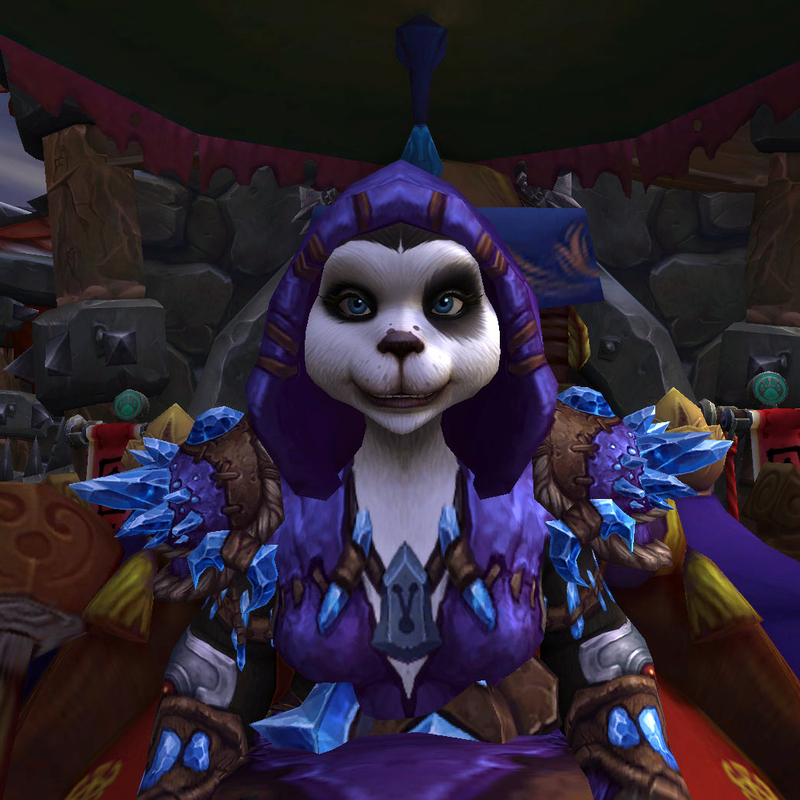 Here you can see the original screenshot of my cute panda from WoW and the original scanned drawing without any edit.